Keeping with its long-standing tradition of honoring the nation's Armed Forces, Charlotte Motor Speedway has rolled out a new-look Patriot Partners program that allows race fans the opportunity to send service men and women to the premier NASCAR events at the iconic 1.5-mile superspeedway, including the inaugural Bank of America ROVAL™ 400 on Sept. 30. "Many of our most passionate race fans serve in our Armed Forces, but often, these servicemen and women don't have the resources to attend our events with their families," said Greg Walter, executive vice president at Charlotte Motor Speedway. "Charlotte Motor Speedway has the unique distinction of being within driving distance of some of the largest military installations in the world. The Patriot Partner program allows the generosity of our fans and partners to help make the dream of attending a race a reality to those who serve our country every day." First launched in 2012 as "Salute the Troops," the Patriot Partners program now allows fans to donate any amount that they wish, by simply rounding their ticket purchase up to the nearest dollar or making a donation of any dollar amount. For every $25 raised, Charlotte Motor Speedway will purchase discounted tickets to be distributed to troops and their family members through the speedway's partner, USO of North Carolina. Donations can be made by calling the speedway's ticket office at 800-455-FANS (3267). 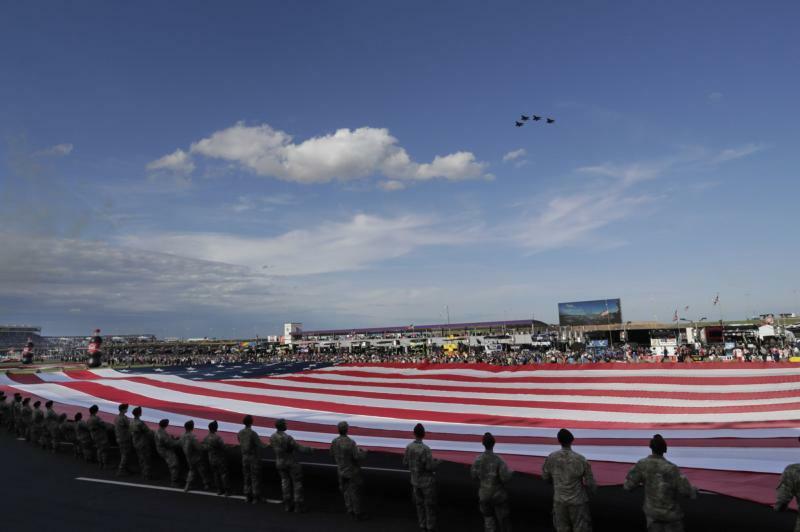 "For decades, Charlotte Motor Speedway has stood behind our nation's military, honoring them at the races," said John Falkenbury, president and CEO of the USO of North Carolina. "Charlotte Motor Speedway's Patriot Partners program and the generosity of race fans make it possible for us USO of North Carolina to strengthen those service members by connecting them to family, home and country." 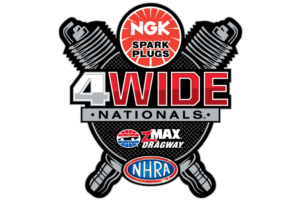 In addition to race fans donating to the Patriot Partners program, interested corporate partners and businesses can join the cause and purchase a block of tickets. Already in 2018, partners like Bank of America, Coca-Cola, Bojangles', FK Rod Ends, the Cabarrus County Convention and Visitors Bureau and Charlotte Regional Visitors Authority helped provide more than 4,300 tickets to troops and their families coming to Charlotte Motor Speedway. For fans and corporate partners who purchase a qualifying block of Patriot Partners tickets, Charlotte Motor Speedway offers a tiered program of packages to provide added recognition for the buyer and their support of the program, including recognition through social media, on SpeedwayTV during the Bank of America ROVAL™ 400 race weekend, corporate display space and more. To purchase Bank of America ROVAL™ 400 race week tickets or inquire further about the Patriot Partners program, fans can call 1-800-455-FANS (3267).